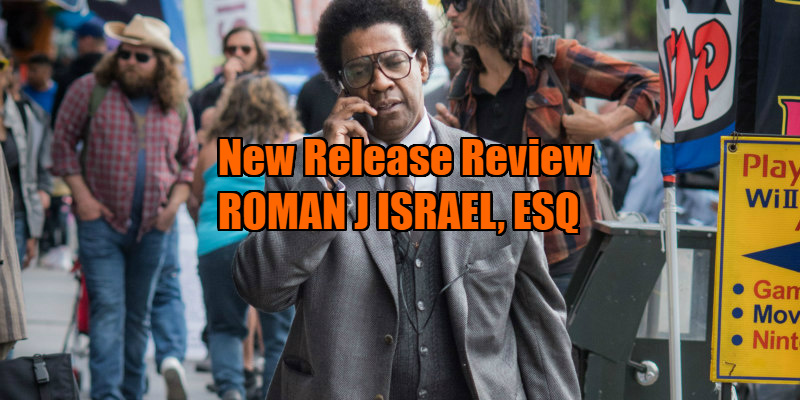 New Release Review - ROMAN J. ISRAEL, ESQ. An idealistic lawyer is seduced by corruption. A film like writer-director Dan Gilroy's legal drama Roman J. Israel, Esq. seems to crop up on an annual basis at this time of year. Like last year's Gold, or 2016's Concussion, on the surface it's a movie that seems like it should be contending for Oscars, headlined by a respected actor who put on weight and isn't afraid to look a bit silly for his role. Its star Denzel Washington has in fact picked up an Oscar nomination, and he's as committed as ever here, but his performance comes in a movie that reveals itself to be utterly vacuous once you scratch off its prestige patina. Washington is the titular character, a mild-mannered lawyer who forms one half of a modest Los Angeles firm. For years, his business partner has been the public face of the firm while Roman has beavered away in the background, applying his savant-like skills to developing a brief that he believes will change the American legal system. When his partner suffers a heart attack, Roman is taken under the wing of slick young lawyer George Pierce (Colin Farrell). While working for Pierce, Roman meets with Derell (DeRon Horton), a young man charged with the murder of an Armenian store clerk. Derell claims he didn't pull the trigger but knows who the murderer really is. After a series of mishaps leads Roman to feel he's wasted his life trying to affect change by playing by the rules, he informs the local Armenian community council of the whereabouts of the real killer, claiming a $100,000 reward in the process. Moving into a plush new apartment, filling his wardrobe with smart suits and combing back his unkempt afro, Roman morphs into the stereotypical image of a money hungry lawyer - but how long can he pull off this charade? 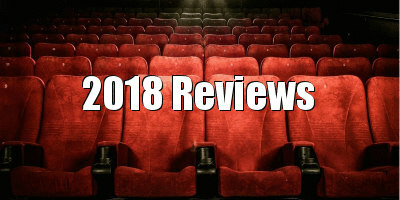 Having made his directorial debut in fine style with 2014's Jake Gyllenhaal vehicle Nightcrawler, expectations were high for Gilroy's sophomore effort, but it's difficult to believe the two movies were written and directed by the same man. 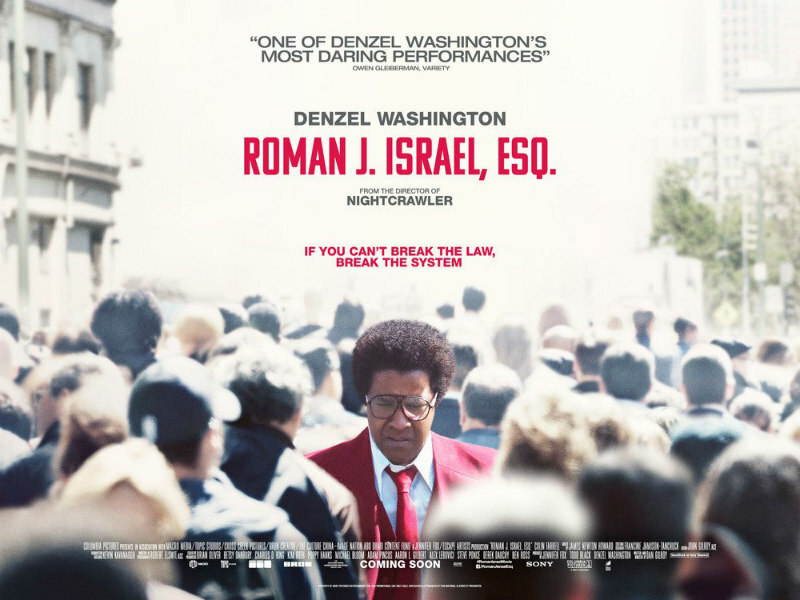 With Nightcrawler, Gilroy established his fascinating protagonist through a series of subtle details, but with Roman J. Israel, Esq. everything is overblown, from Washington's goofy dress sense to his apartment, filled with the sort of 20th century African-American cultural ephemera that you're now more likely to find in the home of a 40-year-old white hipster than a 60-year-old black man. Everywhere he goes, Roman listens to his well cultivated iPod, which conveniently gives Gilroy an excuse to soundtrack his film with '70s funk. Despite Washington's attempts, Roman never feels like anything more than a caricature, one cooked up in a lab by a white liberal. This might be excusable if the film dropped him into an interesting plot, but the structure of Gilroy's film is a shambles, taking an age to decide just what story it wishes to tell. Is it a legal drama, a social message movie or a Grisham-esque thriller? I was no wiser when the end credits began rolling. It's a good hour before any sort of premise begins to take shape, and by that point most viewers will have lost patience with the indecisive nature of Gilroy's storytelling. Gilroy seems to adore his title character so much that he completely neglects the other thinly sketch figures that revolve around Roman's periphery. I'm not sure what to make of Farrell's lawyer, who flits between Gordon Gekko cynicism and Bud Fox idealism from scene to scene. And what's the point of the young advocate played by Carmen Ejogo, who is introduced as an unlikely would be love interest for Roman, only for the film to ultimately forget she exists? With Nightcrawler, Gilroy made a seamless transition from scriptwriter to director, arriving as a fully formed filmmaker. His followup however resembles exactly the sort of movie you might expect a screenwriter to make, an overwritten slog with flashy and distracting camerawork in place of effective visual storytelling. Gilroy has squandered a lot of talent on this project, not least his own. Roman J. Israel, Esq. is in UK/ROI cinemas now.